The Triangle is an exciting and unique partnership between Johnson County, the University of Kansas and Kansas State University. Its goal is to create economic stimulus and a higher quality of life through new facilities for research and additional degree opportunities. In November 2008, Johnson County voters invested in the county’s future by voting for a 1/8 cent sales tax to fund Triangle initiatives. Those initiatives include the development of the National Food and Animal Health Institute at K-State Olathe, the KU Clinical Research Center in Fairway, Kan. and here at KU Edwards, the BEST Building with 10 new degree programs in business, engineering, science and technology. 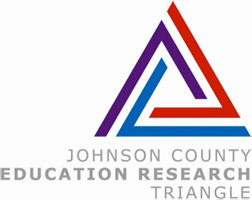 The economic impact of the Triangle in Johnson County over the next two decades is expected to be well over $1.4 billion and attract millions of dollars in private and public donations and research grants. View a video about JCERT's commitment to the life sciences.